The late Great Grandmaster Hu-Yuen Chou (1906-1997) was a native of Fut San, China, where he began his Kung Fu training at the age of 9 with his teacher Chan Ngau-Sing. At the age of 16, he moved to Canton, where he met his second teacher, Grandmaster Chan Yiu-Chi, the grandson of the founder of Choy Li Fut Kung Fu. Hu Yuen Chou spent 20 years studying with the grandmaster, becoming one of his most advanced pupils. In 1945, Hu Yuen Chou accepted a Russian Boxer's challenge for a full-contact match in Fut San, where he represented not only his teacher's school, but also the entire Chinese martial arts community of Fut San. He won the match by knock out during the second round. This victory gained Hu and his teacher much celebrity, and helped fuel Choy Li Fut's reputation as a highly effective fighting art. Hu Yuen Chou began the study of Yang style Tai Chi in 1929 with the famous Master Chen Wei-Ming, who began teaching in Canton on behalf of the Yang family. 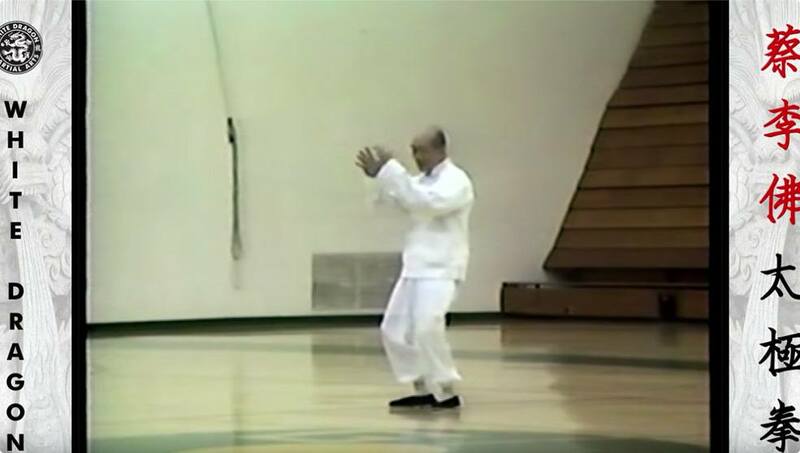 After studying with Master Chen for nearly 3 years, Hu had the privilege of becoming one of the last closed-door students of the great Tai Chi Grandmaster Yang Cheng-Fu, the grandson of the system's founder, Yang Lu Chan. In 1927, Hu Yuen-Chou became a student of General Li Jing-Lin, one of the top experts in the Wudang straight-sword system. In 1949, just before the Communist revolution, Hu moved to Hong Kong where he continued to develop his ability with the straight-sword with Kuo Chi-Feng, a close friend and Wudang Sword brother of General Li Jing Lin. For decades, Great Grandmaster Hu Yuen Chou promoted the Chinese martial arts in Canton and Hong Kong. He became well known for his ability to balance the teaching of internal and external martial arts, giving equal weight to the importance of fighting skill and traditional martial arts knowledge. In 1995, Great Grandmaster Hu and his wife moved to Taipei, Taiwan, where he taught a few of his closest students for two more years before his death on August 26th, 1997 at the age of 91. Today, his teachings live on through his highest-ranking student, Grandmaster Doc Fai Wong, and the grandmaster's senior student Master Nathan Fisher , the founder of White Dragon Schools. The late Great Grandmaster Hu Yuen Chou (1906-1997) was a native of Fut San, China, where he began his Kung Fu training at the age of 9 with his teacher Chan Ngau-Sing. At the age of 16, he moved to Canton, where he met his second teacher, Grandmaster Chan Yiu-Chi, the grandson of the founder of Choy Li Fut Kung Fu. Hu Yuen Chou spent 20 years studying with the grandmaster, becoming one of his most advanced pupils. ©2018 White Dragon Martial Arts.